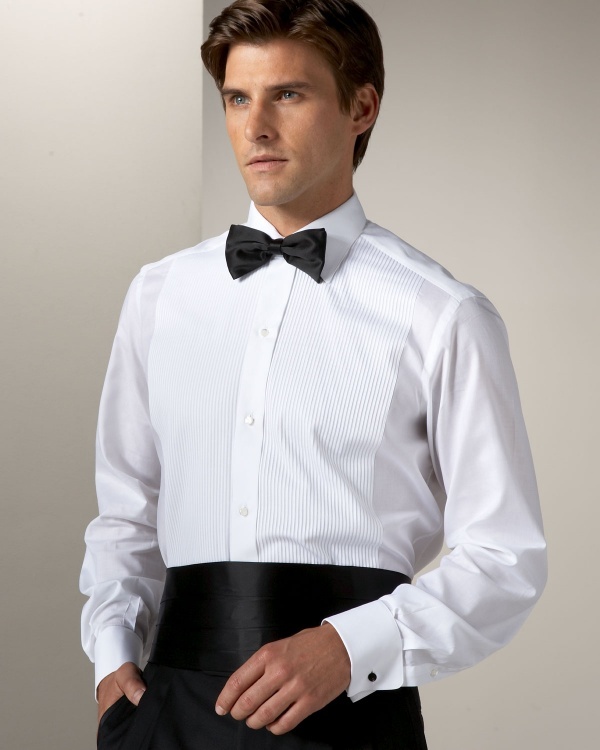 Look your best in this white tuxedo shirt from menswear masters Brioni. More understated than a wingtip collar, this spread point collar is a fine way to retain the class without any of the pretension. Featuring a simple bib design, and French cuffs, you can find it online now. This entry was posted in Black Tie, Dress Shirts, Tops. Bookmark the permalink.